Polar pilot. Born in the village of Sasovo, Tula region. He started as a mechanic at the factory, without a break from production, he studied at the flying club, in flying and glider schools, at the Orenburg Higher School of Pilots. Even before the war came to the North. With the beginning of the war he was drafted into the army in Krasnoyarsk. He fought with the troops of the Leningrad Front, the Black Sea Fleet (naval intelligence), the Danube Flotilla, participated in the defense of the Caucasus, the liberation of the Crimea, the capture of Budapest. He completed his service as a captain in the Far East in operations against Japan. After the war, he returned to the Arctic, as a helicopter commander, flew along the Northern Sea Route, spent the winter at drifting stations SP-4 and SP-6, participated in four Antarctic expeditions. On the Third Antarctic Expedition, Afonin was the co-pilot of Viktor Mikhailovich Perov, a remarkable pilot and a wonderful person, the organizer of famous polar flights. 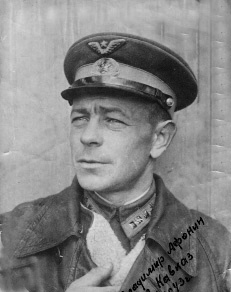 Together with him, Afonin flew many tens of thousands of kilometers: delivered cargo to the East, dumped fuel to polar explorers of the now-suspended Soviet station, which was at the inaccessibility pole, and carried out a non-stop flight across the South Pole to the American station McMurdo. December 11, 1958 on the air sounded: "All, all, all! Stations and ships in Antarctic waters! .. ”The Belgian station Baudouin informed Antarctica that the plane with four crew members aboard from the station had disappeared; Attempts to track down the missing on their own have failed; immediate help is needed. Returned, slept for three hours and went to the second flight. We saw a rock in the middle of the glacier, which was called Mount Sphinx (now Mount De Linne), and was guided along it: somewhere in this area a Belgian plane could have crashed. Here we were waiting for the first finds. In the southern part of the mountain range, not far from the Sphinx, we found a tripod from a theodolite and several snow-covered boxes half full of snow. Traces of people, apparently, covered up. They started spinning and suddenly saw a small sports plane lying on the wing. He seemed like a black mosquito on a white background. It is impossible to sit down: there are rocks everywhere, rocks. I had to land two kilometers. They left the mechanic with IL, while Perov, Brodkin and two Belgians themselves went to the scene of the accident. On the way, I slipped, hit the ice hard and came back. It turned out, fortunately, since the blizzard began, my return was most welcome. Together with a mechanic, we started the engines and began to salute with rockets. The rumble of engines and rockets helped Perov's group to determine the opposite direction, and she, although not without difficulty, reached IL. Comrades said that the Belgian aircraft during a forced landing broke down the ski and landing gear. From a note left in the plane, we learned that his crew had gone to the Sphinx Mountain. And then came the fifteenth of December - the day of the last flight. Long and to no avail, we circled over the array, our eyes were all overlooked and were about to lie on the opposite course when we found the tent! “Here she is!” We shouted at once in our own language, the Belgians in our own. Looking at the site, and there was a zone of cracks, they landed and rushed to the tent. All four were alive and well, only Prince de Lin was limping. They went to us with tears in their eyes. Desperate, probably lost the belief that they will find. Were hungry. They have only grams of a hundred apricots, the same amount of raisins and a tube of cocoa with milk - saved as a last resort. We hugged, kissed, utterly happy. In fact, a hair of death people were. We helped them to move the belongings, put them on the plane, gave them sweet tea, the Belgian doctor forbade feeding, after the hunger strike it is dangerous - and told in Mirny that the job was done. However, we broadcast it earlier: “We found a tent, we sit down”. The guys then told us that the whole of Peace walked went: "Found!" The whole of Antarctica, it turns out, this lived! And when they gave a radiogram: “All four of them flew aboard alive,” congratulations fell. Radiating Moscow, Mirny, Belgians, Americans, French - the whole world! In Mirny, they barely had time to receive radiograms and transmit them to us. Received congratulations from the Soviet government and from the Belgian Queen, she telegraphed Voroshilova, and he forwarded us. All participants of the rescue expedition were awarded the Soviet (Afonin Order of the Red Banner of Ore ) and the Belgian Orders. 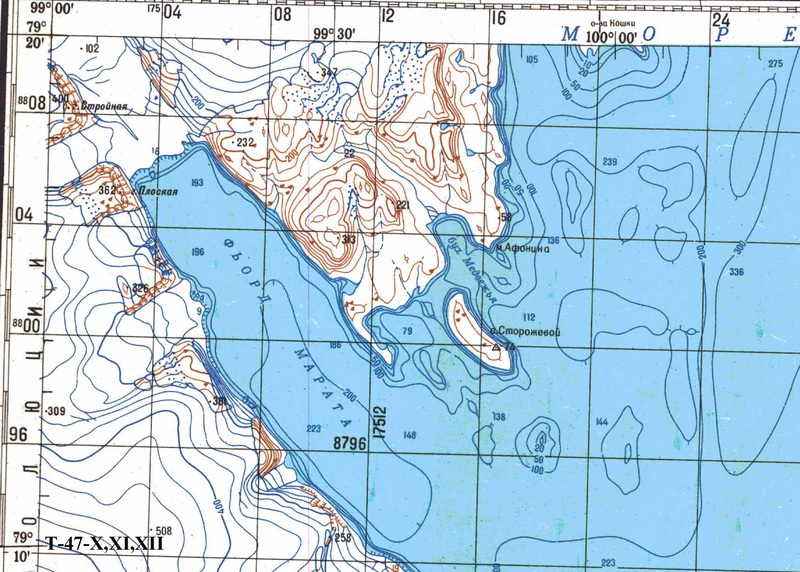 Cape in the east October Revolution island on the Northern Land in the Shokalsky Strait. The name was given in 1949-1951 expedition of the Arctic Research Institute of Geology.